The Royal baby boy has been born and baby fever is certainly here. 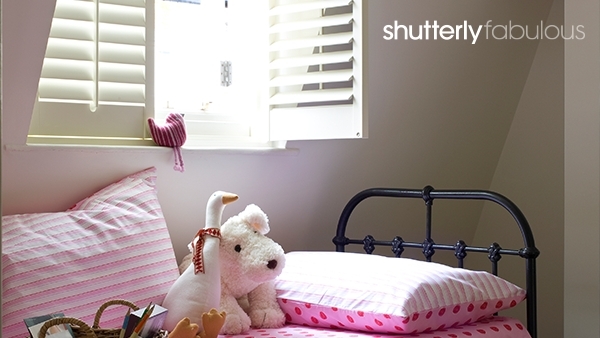 Shutters can be a great option for a baby’s room. It seems like we’ve been waiting an eternity for the Royal Baby to arrive, and finally he has! The Duke and Duchess of Cambridge have been busy renovating Kensington Palace to make room for their new little one, and, like new parents all over the country, will have probably had to think long and hard about how they want to decorate their nursery. For any new parent, the safety and wellbeing of your new-born is of the upmost importance. How can you keep out the light on these long summer evenings and bright mornings to avoid interruption to sleep, or how can you ensure safety when they are playing unattended? Shutters are the ideal solution. With a simple manoeuvre of the slats you can manage concerns such as heat, light and privacy. The lack of dangling chords means they are one of the safest options of window treatments, and as they are so easy to keep clean they are perfect for children with dust allergies. Shutterly Fabulous can make sure that you can find the perfect window treatment for your child’s room and with the colour matching service, you’ll be able to choose from a range of colours and designs – finding the perfect fit for your child’s room.